We have recently added to our range of accommodation with three delightful traditional Shepherd Huts complete with the traditional cast iron wheels and design. These Shepherd huts, like all of Paddocks accommodation, are named after animals on site. These Shepherd Huts are called 1) Reindeer Rest 2) Cria Cornor (a baby Alpaca) and 3) Emu End. We found the perfect spot to place them. 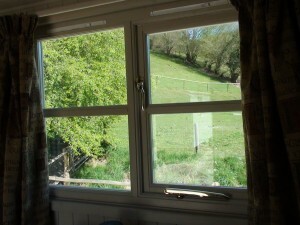 Set in an Idyllic country scene with valley views to the north and south and a hill with woods beyond to the west which is home to grazing reindeer, goats, alpaca and emu. 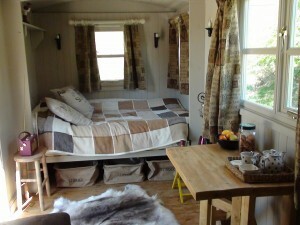 Step up in to the Shepherd Hut experience via four wooden steps. 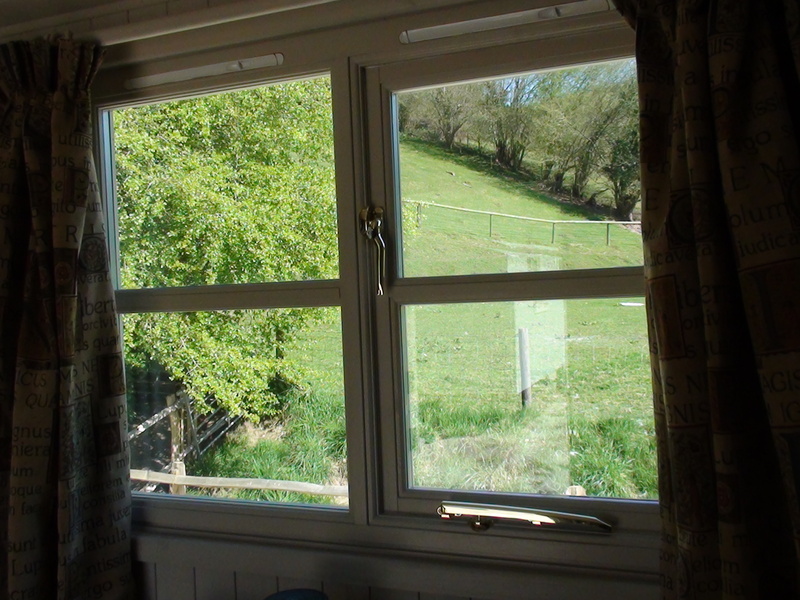 A high quality double bed benefits from two windows, located to the side and at the foot of the bed, providing superb views of the valley from the comfort of the bed. A retro dabs radio beside the bed and a generous supply of tea and coffee provides even more incentive to stay put. A bespoke hand made table and chair by another window means that having a snack or preparing for your day’s work is also accompanied by a great view. Sheep skin and Reindeer hides provide a soft luxurious walk to the en-suite bathroom. Cleverly designed to provide high specification showers and fittings in a small space the bathrooms in these Shepherd Huts include a top of the range electric shower, toilet and sink. Then to top the experience is a log burning stove. The stove has been designed with a clear glass front so the flames can provide an endless visual pleasure, coupled with the delicious smell of wood fires. What a great way to feel at one with nature.